Priyanka Chopra Received A Huge Surprise Gift From Her Husband. Can You Guess What It Is? Nick Jonas is officially the husband of the year, and it is only March! The singer who recently topped the charts, along with his brother Kevin and Joe Jonas, for their song “Sucker” is known to be a doting husband. For example, he shut down the entire Tiffany & Co to buy a ring for his lady love – that and basically the way he looks at Priyanka Chopra have won over our hearts. And now, he has done it again! He has surprised Priyanka Chopra with an OTT gift that will surprise you, too! 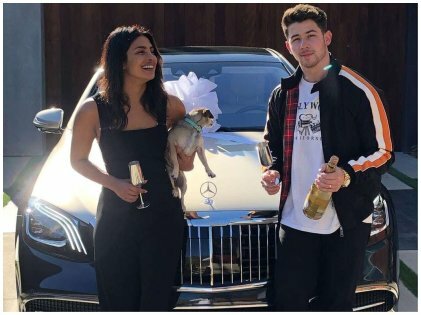 Priyanka Chopra Jonas was gifted a Mercedes Maybach worth an estimated $199,000 by Nick Jonas. Of course, if Nick Jonas did some customization for his beloved wifey, it will surpass $200,000 for sure. Sounds like a lot of money but after finding success following the release of “Sucker”, Nick can pretty much afford whatever luxury he or his wife wants. But this is just the tip of the iceberg for Nick and his brothers. According to an interview, Joe Jonas confessed that they have about 30 to 40 songs ready now. The Jonas Brothers are back and how! Their break-up back in 2013 came as a shock to their fans and now that they are together, everyone is looking forward to whatever the band has in store. We hear they might have plans for a tour! Back to Nickyanka, the couple looked perfect posing in front of the Maybach for a kiss with a bottle of bubbly in hand. While the rest of the world went green with envy, the Jonases engaged in some PDA. The entire theme of the “Sucker” video was an ode to the better halves of the brothers. 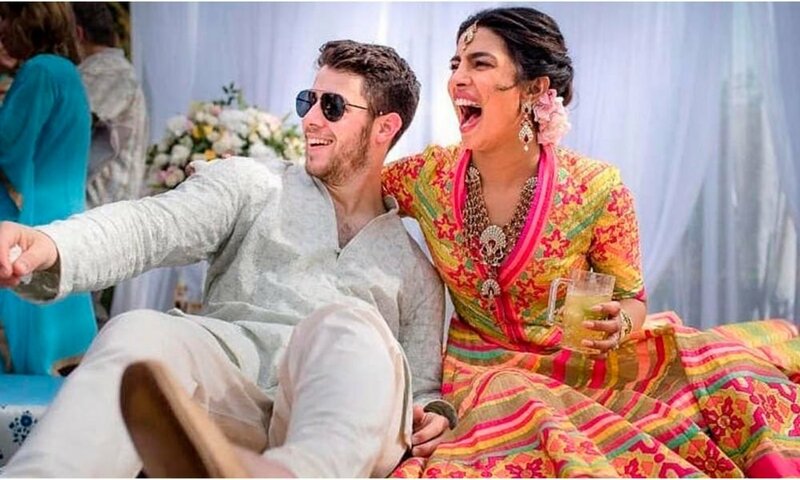 Hence, Nick probably felt the need to show his love and appreciation for Priyanka, who was obviously overjoyed and posted the picture with the caption, “When hubby goes number one…the wifey gets a @maybach.” Looks like this is going to be a great year for both Priyanka and Nick!